The environmental conditions (both operational and on-ground) must be considered when selecting wiring system components. In general, a 10C increase in temperature will decrease service life by a factor of two. While aerospace wires/cables are tested for fluid exposure, long-term testing should be done to evaluate the impact. When looking to select any aircraft component, typically the first means of down selecting from the wide variety of components that exists is based on the component’s performance characteristics i.e. can it perform the function to support the system. Next, the question then evolves to selecting those components that are best suited for the environmental conditions. This last part is more than just selecting the parts that are rated for the environmental conditions but also those that will have a long service life in those conditions. Ideally, the part will be reliable the entire service life of the aircraft and not require any replacement or additional maintenance; however, that usually is not the case (see Lectromec’s article on the immortal wire/cable). To determine long-term reliability, it is important to understand what the environmental impact on a wire/cable is and its associated components. Here, we run through how an aircraft operational and storage conditions impact the wiring system’s reliable service life. Elevated temperature is a common means to degrade materials. 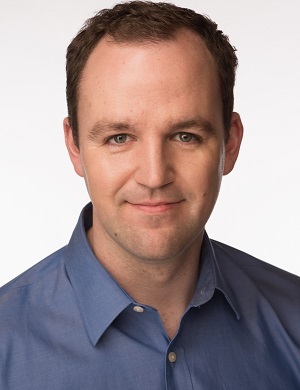 From a basic viewpoint, and a general rule of thumb, the Arrhenius equation suggests that the chemical reaction doubles for every 10°C increase in temperature. While material degradation is a complicated phenomenon and requires significant research and evaluation, this is a good starting point. 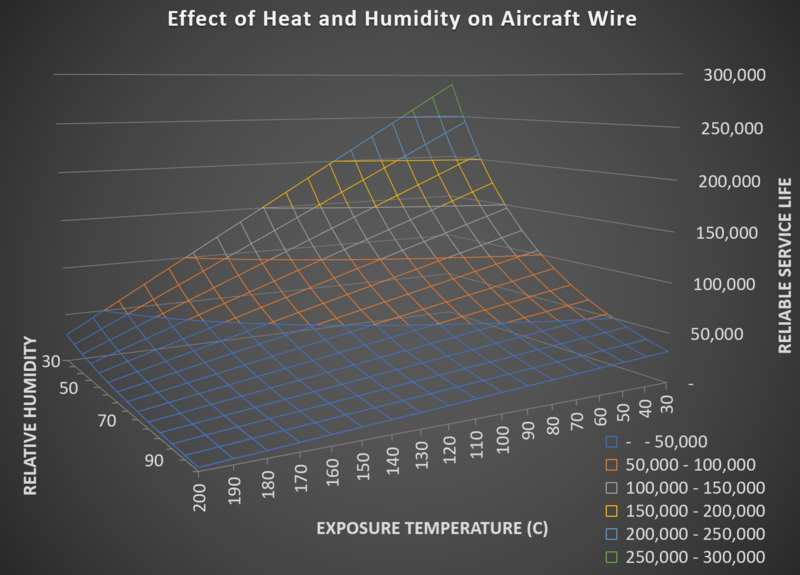 Many wires and cables that are certified for aircraft have undergone the thermal life index testing. In this testing, the wire/cable is subjected to temperatures exceeding its expected temperature rating as a means to actually identify the temperature rating of the wire/cable. Depending upon the application, this thermal rating may be set for 10,000 hours or 100,000 hours. With this as a backdrop, the degradation of wires/cables to elevated temperatures is well-established. But from an application standpoint, how the heat impacts the material performance varies based upon the wire/cable (see the degradation articles for polyimide, XL-ETFE, and TKT). Generally, polyimide base materials perform very well in high-temperature applications and the exposure to high temperatures may actually be a benefit for the material longevity (a caveat to this is when the material is exposed to mechanical strain or humid conditions). XL-ETFE and ETFE constructions are susceptible to oxidization at higher temperatures. This can result in insulation embrittlement and weakening reducing its mechanical performance. Not sure how the aircraft environment will impact performance? The some combination of environmental and operational factors, parts become life limited. It is wrong to assume the wiring system is not subject to this limitation. Materials like PTFE and FEP are susceptible to mechanical weakening/softening at elevated temperatures. While this is not a degradation mechanism for long-term performance, this can make the wire more susceptible to mechanical damage through vibration or stresses at the cable ties/clamps. With the trend to push wires/cables and the entire electrical system to the limits to save weight, the consequence of this is a more rapid degradation of many of the insulation/jacket materials used for wire/cables. While the environmental heating is a large factor, there are other environmental conditions that impact performance and wire life. While the last section referred to elevated temperatures and heat in the general sense, the electrical loads on the wire can also have an impact on long-term performance. Commonly, wires/cables are frequently thermally limited by the conductor plating. Frequent over current conditions on circuits (such as shorting) can progressively damage/degrade the conductor performance. Testing has found that with repeat overcurrent on wire/cable the conductivity of the wire can degrade. Depending upon the severity and the duration of the overcurrent, this can quickly result in a 10% increase in circuit resistance. While this may not sound like much, it can have an impact on circuits that are sensitive to the applied voltage. Humidity is an environmental condition that is most likely encountered while the vehicle is on the ground. Obviously, some parts of the earth are more prone to high humidity conditions and this can result in material degradation. The aircraft materials that are most likely to be susceptible to degradation from humidity are wires insulated with polyimide (those wires/cables produced after 2010 tend to be less susceptible to humidity) and wire conductors. For polyimide insulated wires, the material degradation increases significantly with the combination of both heat and humidity. The degradation of wire conductors is very dependent on the plating of material and where the wire/cable is terminated; at a basic level, most conductor degradation is a simple metal corrosion issue. There are other cases where humidity can be a factor for conductor degradation as is the case with silver plated conductors and red plague. Aside from polyimide, most wire insulation types and cable jackets are tested for long-term exposure to high temperature/high humidity conditions. Those materials that are based on floor polymers are usually very resistant to degradation from humidity exposure. Aircraft wires are subjected to a wide variety of fluids including fuel, hydraulic fluid, cleaners, deicers, and corrosion inhibiting compounds (not including anything that passengers may spill). 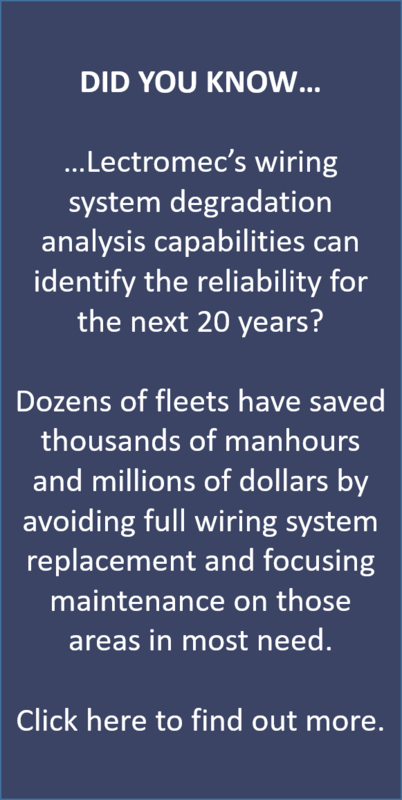 A recent report from the Naval Air Systems Command discussed even with long term fuel exposure, most modern aircraft wire types do not experience degradation. Although wires/cables are tested for the compatibility with aircraft fluids, many of the fluid compatibility tests are of limited duration and at low temperatures. As such, it is recommended that if a wire/cable is repeatedly exposed to any fluid, long-term degradation assessment should be done prior to application. The degradation of any material is a complicated process and certainly, with all of the various factors that are involved in an aircraft both in-flight and on the ground, the situation becomes ever more complex. Certainly, the degradation rate of materials is increased with elevated temperatures and with the exposure to fluids/humidity. Some degradation mechanisms have been well established through research and/or field experience. But every situation is unique, and the service life and the environmental conditions of each aircraft will vary. Thankfully, there are established means to determine the wiring system health and identify the remaining reliable service life of wiring system components. This is something that Lectromec has specialized in for the last 35 years. If you like to find out more about how we can help you identify the current condition of your wiring system or identify how your wiring system will perform under certain environmental conditions, contact Lectromec.